In 2012 as I watched in amazement at the development and growth of Station Norths Arts and Entertainment District I found myself wondering over and over again about the tallest building in the neighborhood and what was happening inside. 11 W 20th Street has 26 floors and the awning outside says J Van Story Branch Apartments for Seniors. That's what it was 20 years ago but today its a mixed population of Seniors and disabled of all ages. No children except for the occasional grandchild paying a visit. I paid my first visit to meet with the building manager to find out more about the residences. I was curious what it was like for them to see the development in their neighborhood and if they had any personal connection to the creativity sprouting up all around them. My first visit was an eye opener from the front desk person who literally would not look up to acknowledge or address me through a thick (possibly bullet proof) glass, to arm officers in the lobby with guns and bullet proof vest. I found out that day that in the state of Maryland disable includes recovering attics and unfortunately where you have recovery you also have dealers lingering to make their product readily available to anyone falling off the wagon. I also found out how vulnerable and depressing it had become for the seniors living there and how little programming they had. 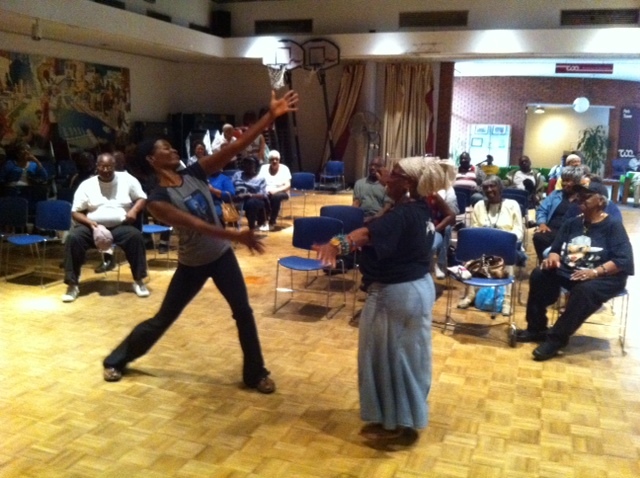 So I decided along with one of my dancers to do a free movement and music class for those 55yeras and older. They loved it. We sang we danced we shared stories and gave hugs and afterward I went to my car and sat there and cried. It was so hard to leave because I thought, I would never want to leave my mother to live out her last days in a place like that. 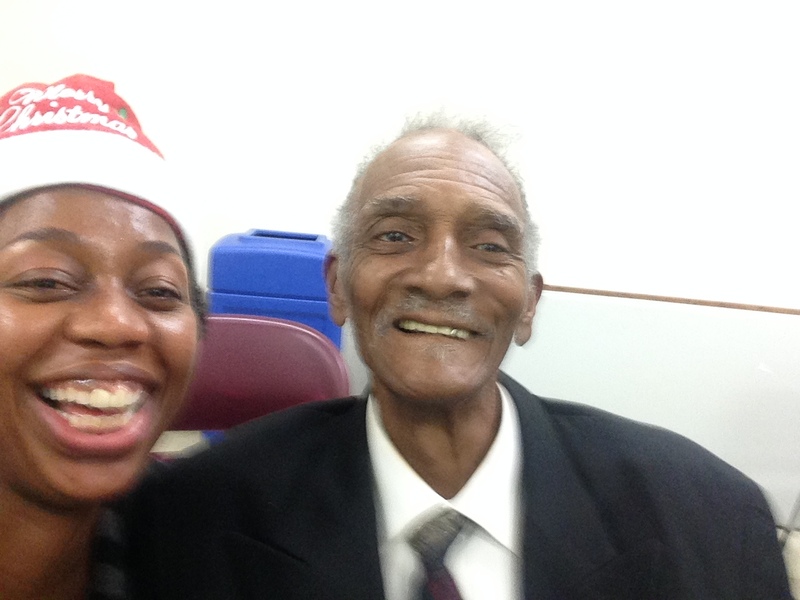 So I came back and I brought friends and volunteer groups and every few months for over a year I would visit the Van Branch seniors and to make music and move together. Eventually someone caught wind of what I was up to and asked if I would like to be part of a community grant. I said yes and we won. I also say if you wait for the funding you'll never do the good you ought to do. Trust and believe that what you do has value and eventually other people will believe as you do and put a price tag on what you already knew was worth something. 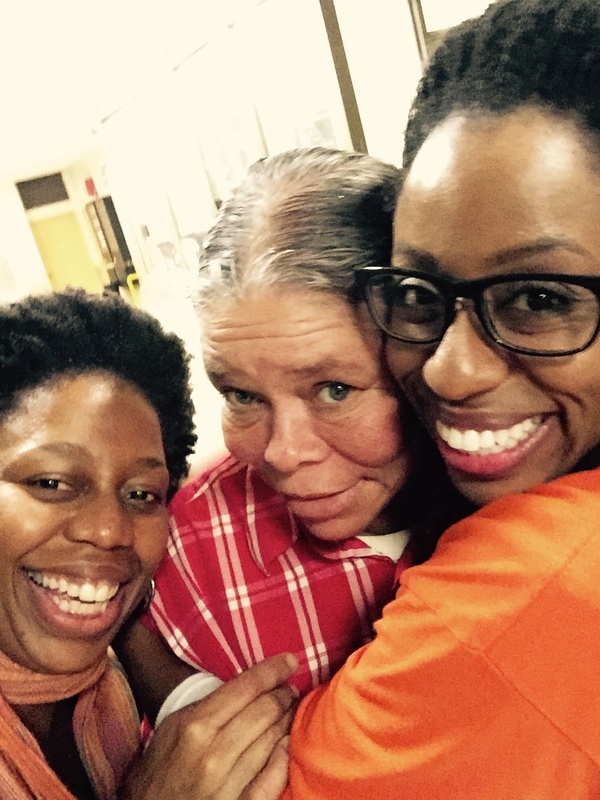 Meet Vera, a sometimes sassy but wonderful women with a giving heart. Since being part of the Forever Fit & Fun Club she's moved out of J Van Story but the group make sure she knows when we're coming so she can come back through for some hugs. She also picked back up song writing since she now has a safe creative place to share her voice. 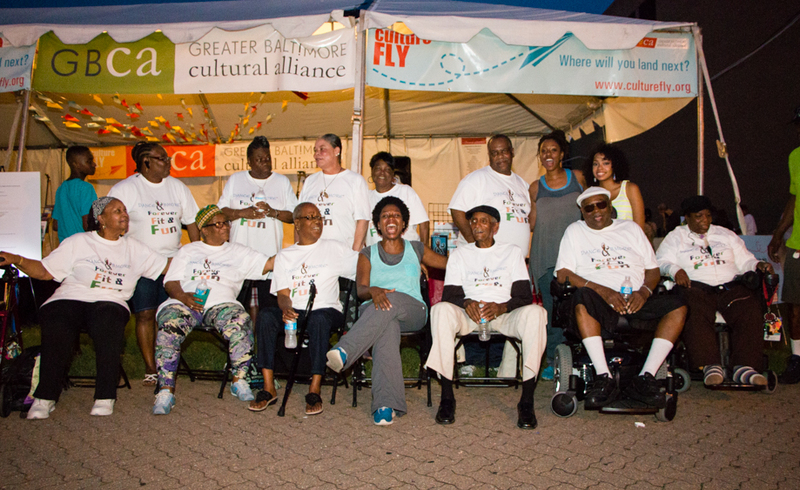 Since our Artscape performance we now get request for Dance & Bmore and our Senior company to come and perform our original work. 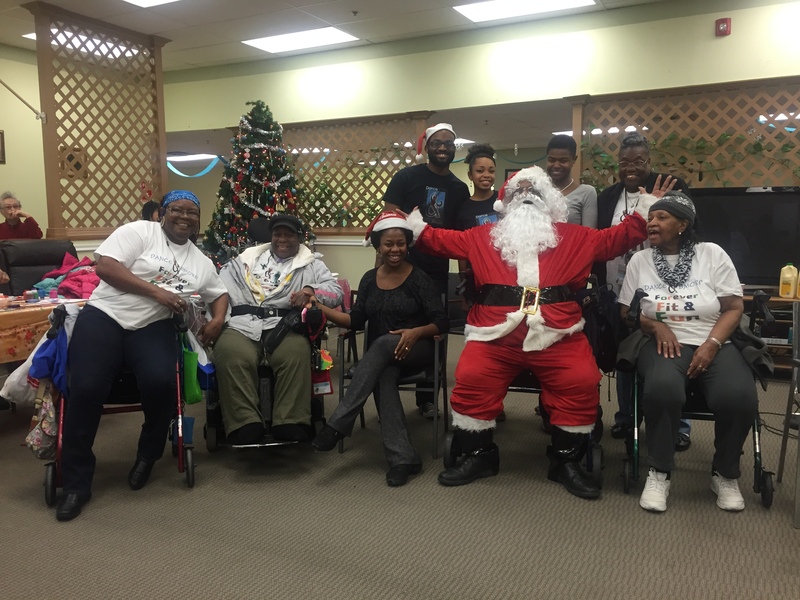 This is one such performance at the Maryland Ave Adult Day Care just before the holidays. They love going out together as a troupe now. 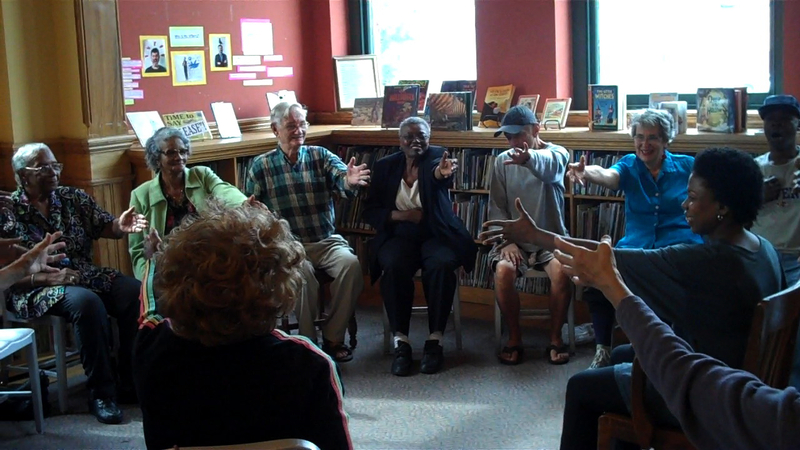 Our wonderful group for senior citizens at the J Van Story Branch so full of fun and life. For our second field trip to Centerstage I choose a play with a leading lady in her 70s. I was curious how they would respond and if they could see themselves in her and imagine them selves on stage. 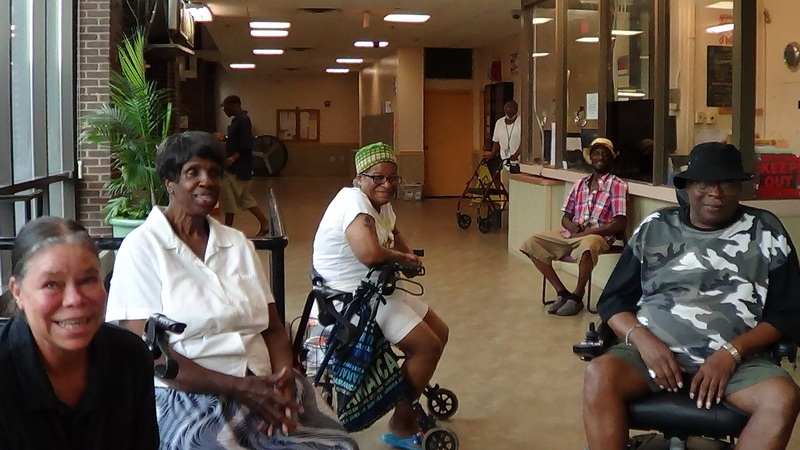 They were all a buzz about it afterward and it opened up a great discussion about what they can do at their age. 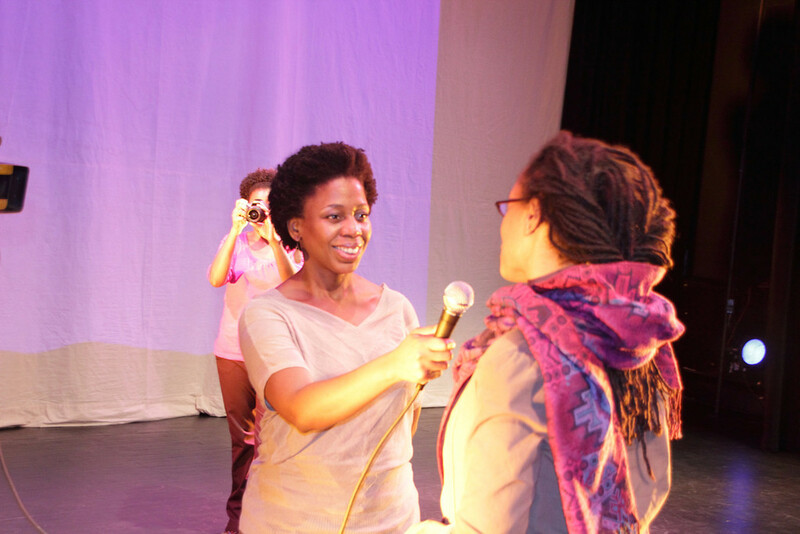 Shortly after that we were rehearsing for our first ever performance at Artscape 2015! An unforgettable day from the trip just a few blocks down to the performance and the friends, family and neighbors who came out to support them. 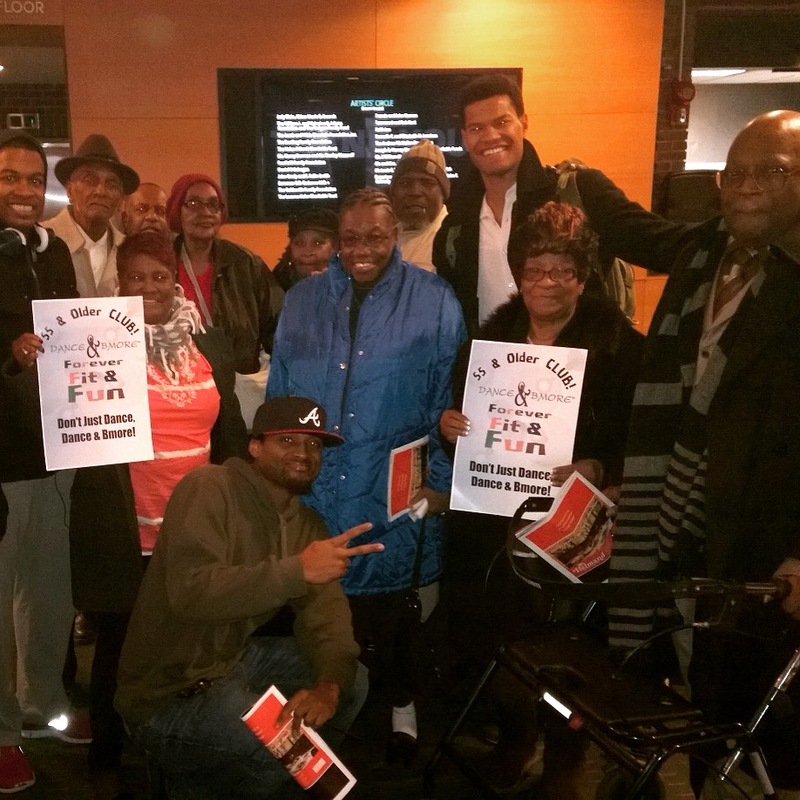 We took a group of 13 seniors to see One Night in Miami at Center Stage. We had 6 volunteers and a nurse...for me! I was so excited and nervous I thought I'd pass out LOL. I made it through and our group loved it. The cast was lovely to sign autographs and take pictures with our group who was having the time of their live. As I did funny post-show interviews with them I was stopped in my tracks to find out it was Mr Philip who was 60 yrs old first play, also Mr Flyod 68 yrs and Ms Essie 80yrs. Wow, the things you take for granted. Our program is in the first 2 minutes but it's worth watching the whole thing to see the Tremendous work being done by so many powerful artists in Baltimore City. They have become our family, especially during the holidays. People tell us the lobby use to be so uninviting and rough but now that you come and make music the atmosphere has totally changed. It's a blessing weather you're in the group or just walking by. 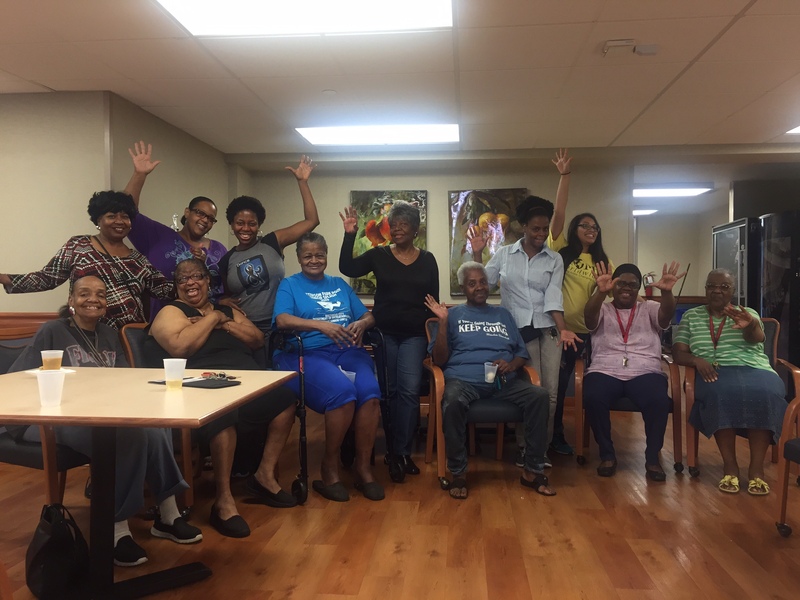 Our seniors at the J Van Story Branch Apartments on W 20th st. stretching, singing, sharing memories and making new ones. 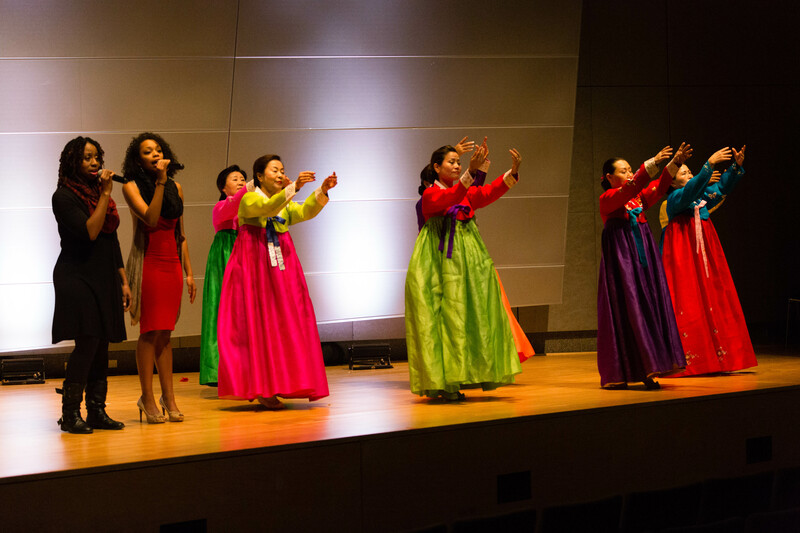 Under the direction of Artistic Director CJay Philip, the Dance & Bmore ensemble creates a dynamic yet playful fusion of dance, poetry, live vocals and original music. 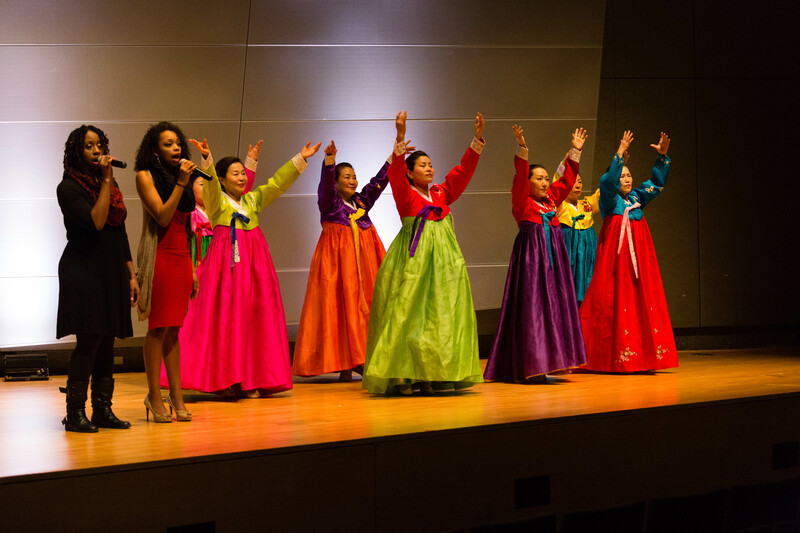 Their rich and theatrical perfromance style engages audiences while heightening their social awareness. 1. 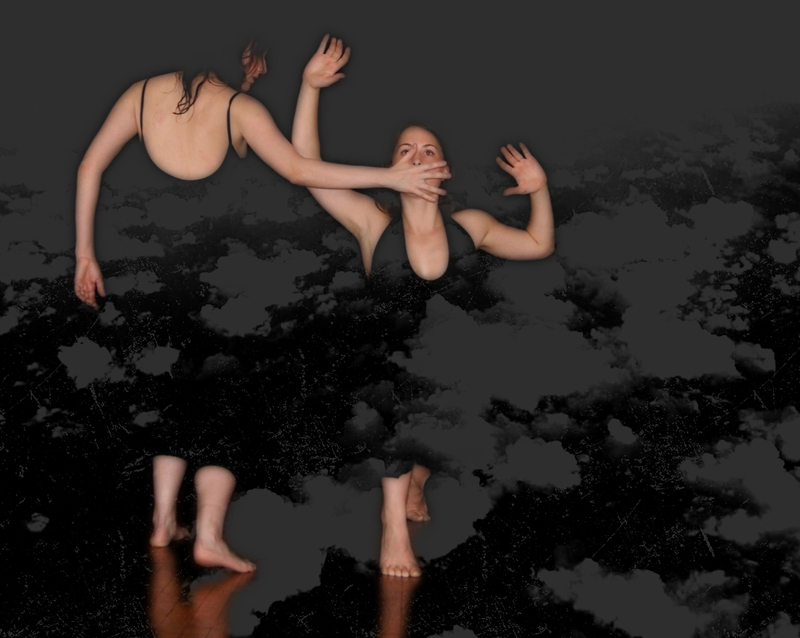 The Birth; exploring the idea of a second birth. When is your creativity born? How is it nurtured and does it relate to community, conflict and lose. 2. Be More or Less; takes a painfully honest look at body image, personal examination and ownership. 3. Present Tense; a poem someone gave me written by a 14 year old boy...profound wisdom at such a young age intrigued me. 4. 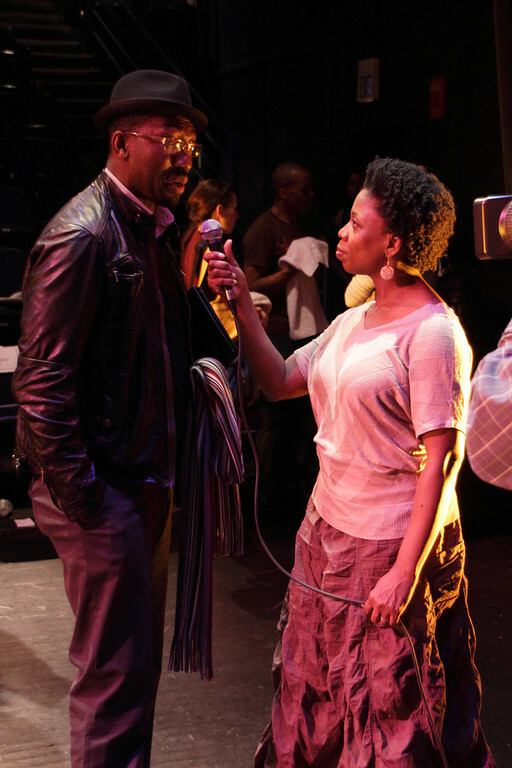 We Need You was inspired by a new play premiered at Centerstage and highlights the desire for the father figures or our lives at every stage of our own feminine evolution and/or revolution. The first piece I ever choreographed. For me it speaks of the nature of givers whio give and give and sometimes feel alone and grow tired. Great collaborations and partnerships are everything. They give me life, strength and passion to answer the call. In The Birth CJay portrays the mother of creative creatures as they discover an intriguing yet sometimes dangerous world. 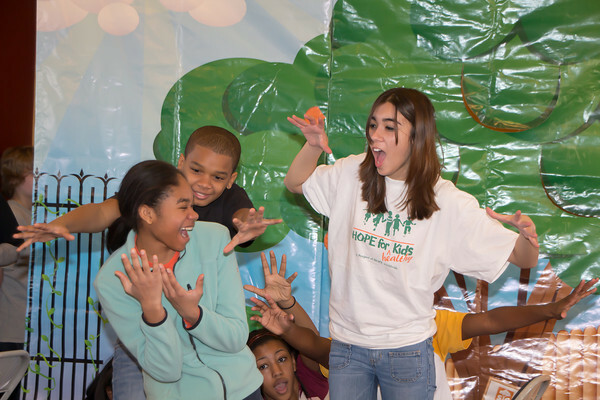 This is a photo from the WOW festival hosted by the BSO March 2012 at the Joseph Meyerhoff Symphony Hall. 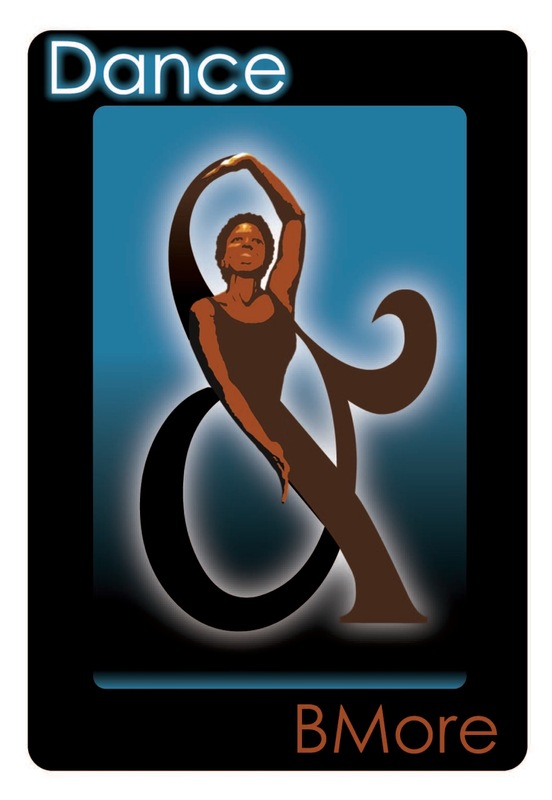 A highlight of this weekend of events was a Saturday night concert directed and choreographed by CJay Philip featuring Mary Chapin Carpenter, Rain Pryor, Dance & Bmore and over a hundred Baltimore artists. 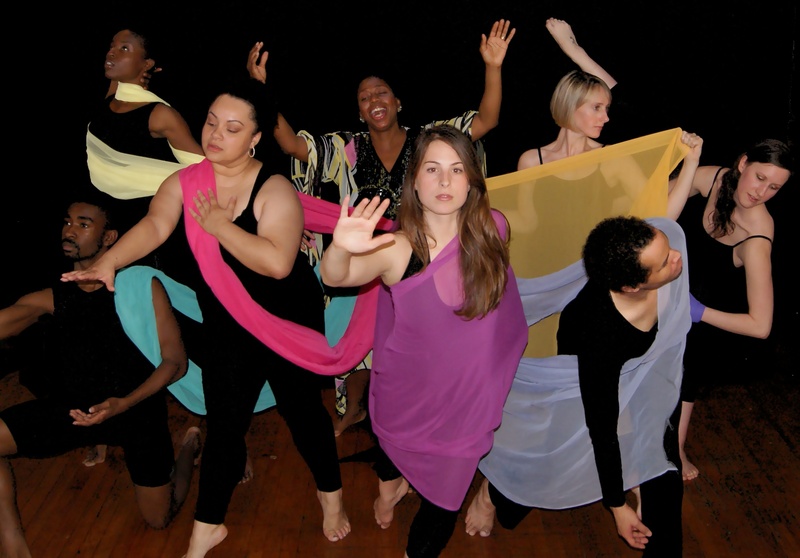 This is a spring 2012 photo of some of the dancers in Dance & Bmore. 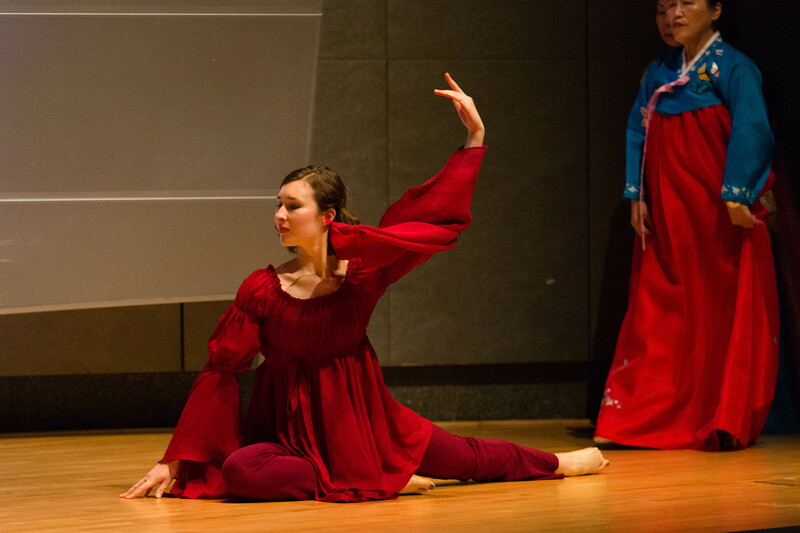 One of the things I find interesting in the dance world is "typing" which is combining groups of dancers together based on common physical attributes. Typing can go beyond the physical to more abstract common bonds like style and energy. One of my tricks as I auditioned in NYC in my 20s was to keep my eye on the choreographer. Most where older (My current age) and had young spry assistants demonstrating. After choosing a company name with obvious double entendre, the not so obvious was what it should looked like. This was a fun few days of day dreaming and writing on napkins or scrap paper. I don't draw well but my graphic designer Brian Branch says he loves the written details I give to help solidify visual concepts (I think he's just being nice). First I got into my leotard and tights, stood against the bedroom wall holding in my stomach as my husband took the picture. Thirty minutes back and forth from pose to camera to see. 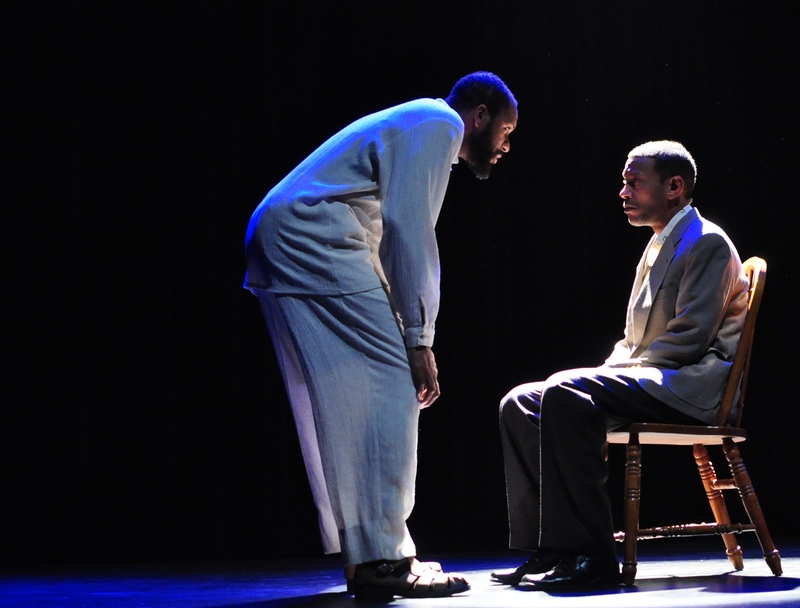 This post-show performance in the lobby at Centerstage was based on themes within a new work by Marcus Gardley, Dance of The Holy Ghost. 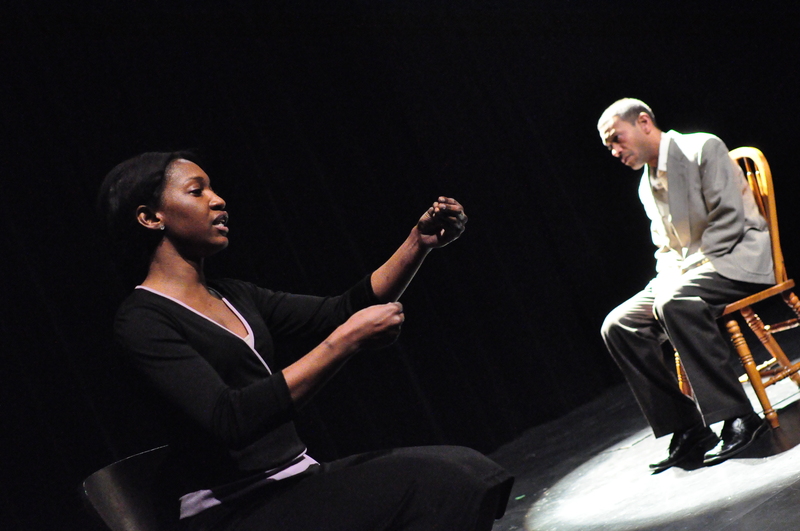 It came from my interpretation of the relationships between a father, daughter and grandson. 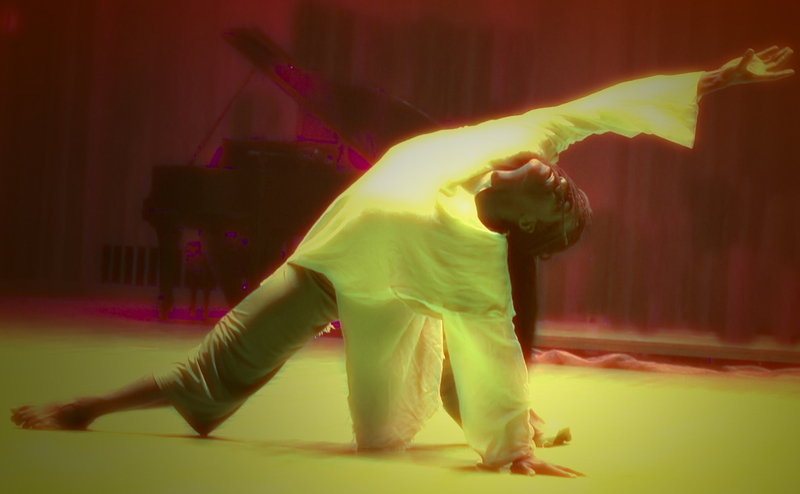 Poet -April Kersey Singer -DeMerris Dancer -CJay Philip Present Tense; a poem someone gave me written by a 14 year old boy...profound wisdom at such a young age intrigued me so I put this together. Be More or Less; takes a painfully honest look at body image, our response and responsibility. 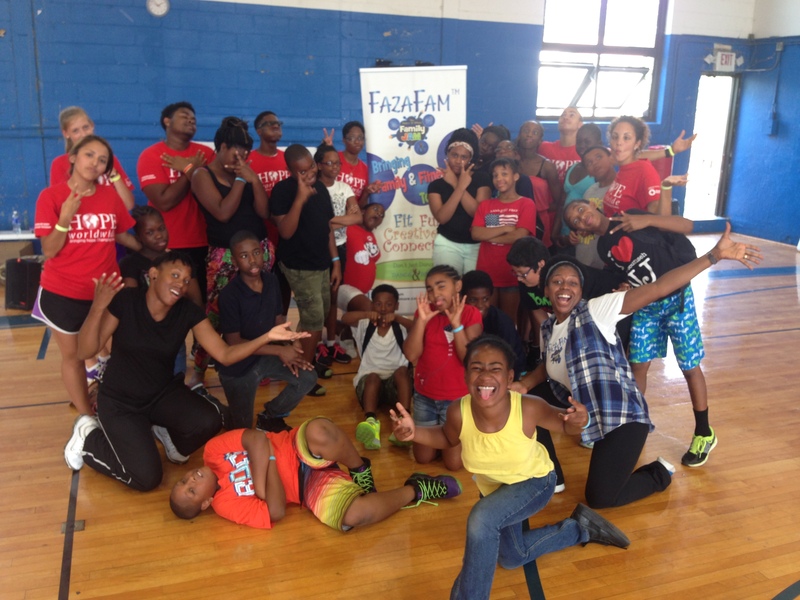 Yes FazaFam Family Jam is fun, it's bonding it's convenient to combine family time and family fitness but to so many families we serve it's so so much. I'm my mothers child. A social worker and community activist, my mom showed us by example that community matters, being there for one another, helping out with the little things created a sense of family. Our family life was far from perfect. My earliest memories of my father were centered around violence, abuse alcoholism and neglect. Those are memories I can't erase and it took a toll on all my siblings especially my older brother who saw more than I ever did as the youngest. Parents are people and they make mistakes. I can only imagine the list of things my father wished he'd done better. I met my father 12 years later as a sober man... I was surprise. He was nervous, open and funny man, he was real funny. He had a lady friend who was warm and as nice as could be and he love fishing and told me all about. He took me fishing with him and his buddies a few times. No drinking just fishing and hanging with my dad teaching me how to bait a hook and the best place to throw a line. I love those memories. And I appreciate him reaching out to take the time to create New memories for us. They couldn’t take away my first memories of him but imagine if those first were the only memories I had. 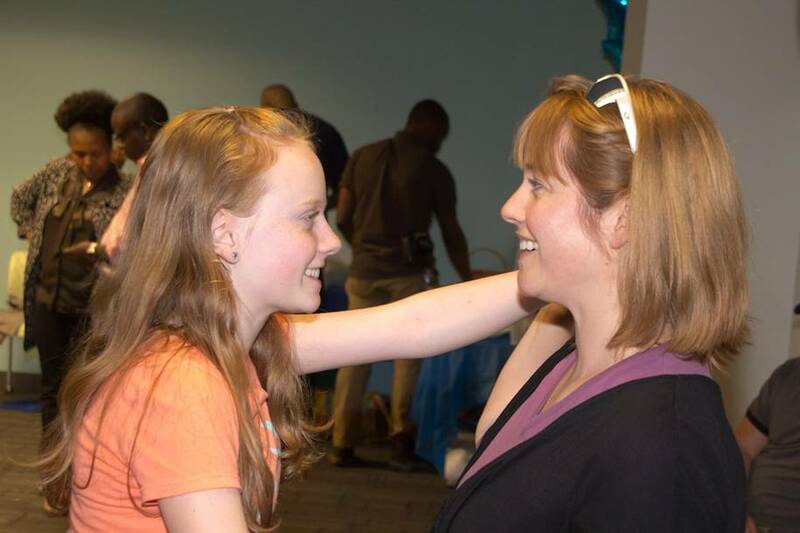 I believe for some families our program is a healing agent, a place to produce memories that are happy, healthy and freeing of guilt, shame and blame. We create a safe space to make fresh new memories and although they sometime lay over top of scars they are still there and once great memories are real, no one can take them away. We created catchy songs to sing in class that I hoped would stick with the kids and remind them to dance with their parents at home...it Worked! Parents tell us all the time. "They sing the songs all week and we just dance and dance" :-) Here I am singing one of our class favorites. 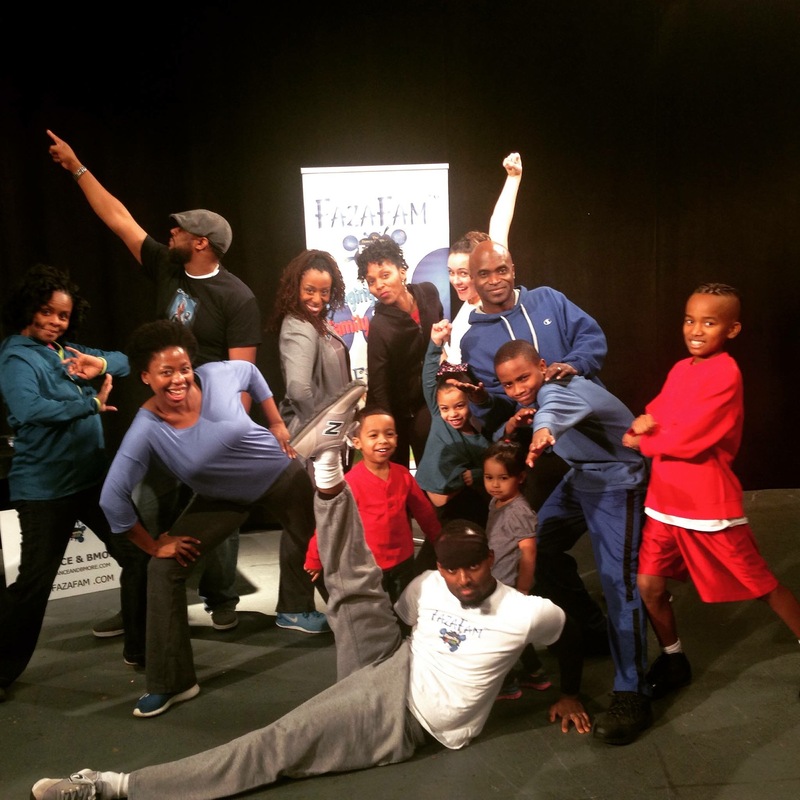 I've been able to write and co direct a series of PSA to encourage family fun time and fitness for Baltimore families. I started creating programming specifically for Seniors in 2011. 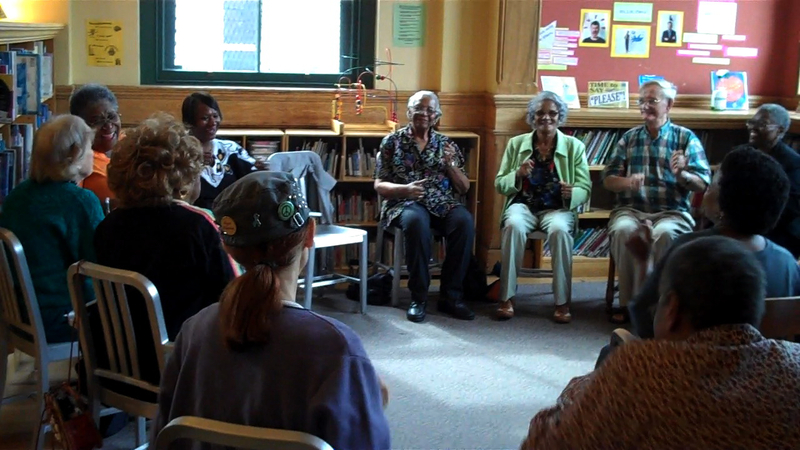 We called our first program the Mid Day Cabaret at the Waxter Center for Senior Citizens on Cathedral. I then became a repeat guest artist for the Village Learning Center Senior Tea. 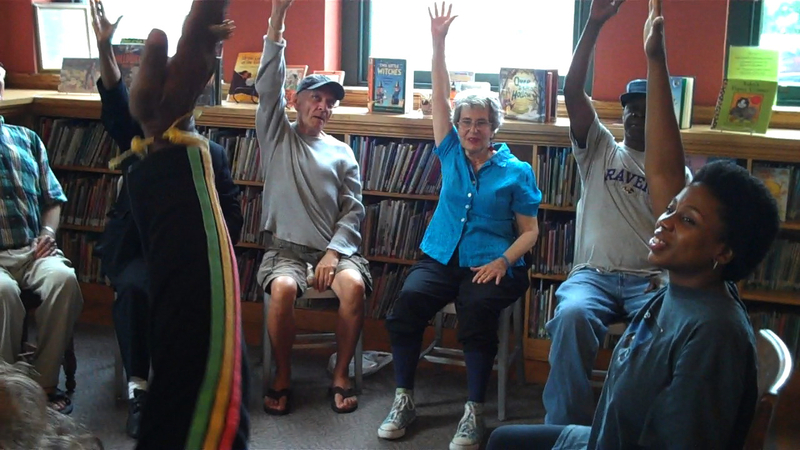 I had a short season of classes at the reopened 29th St community center before beginning our year long series at the J Van Story Branch. 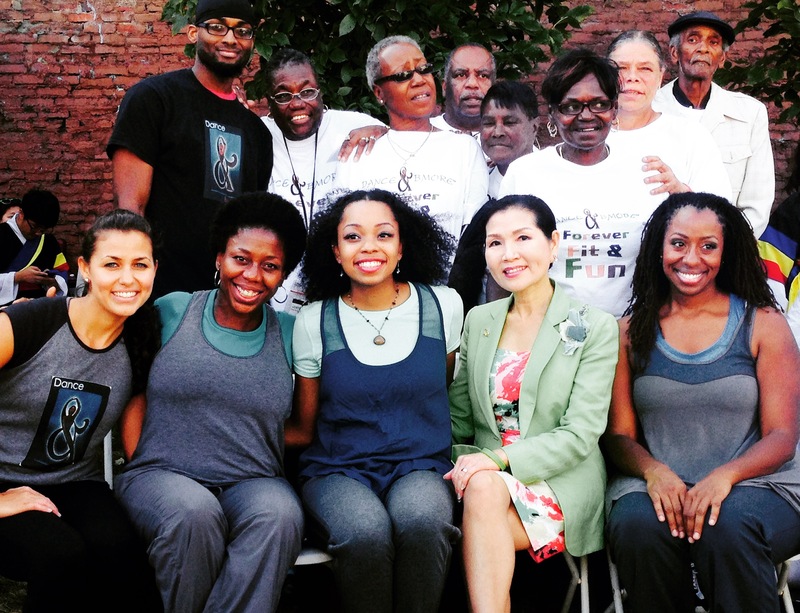 During the April 2015 uprising the first question that came to my mind was how are the Seniors in the community? Who is checking in on them? 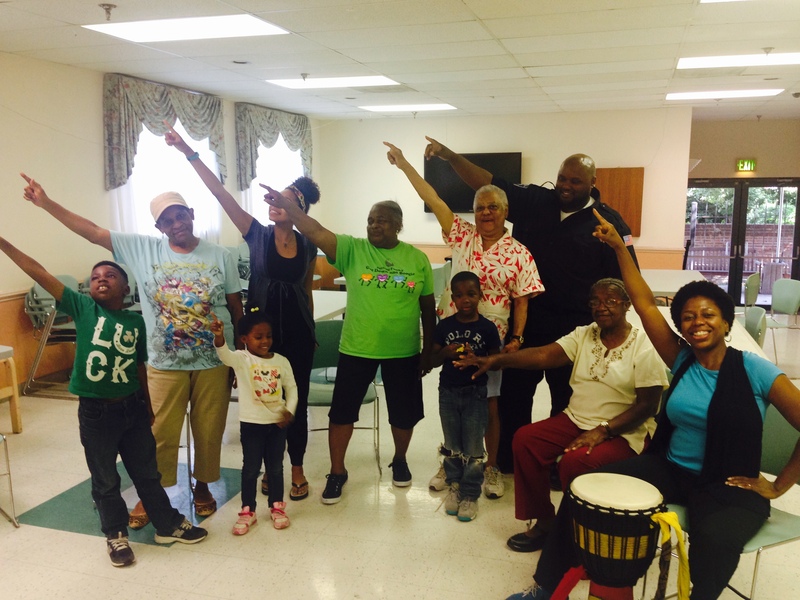 I spent the spring gathering friends to help me visit senior Centers in West Baltimore doing music and movement for stress relief because they really needed it. 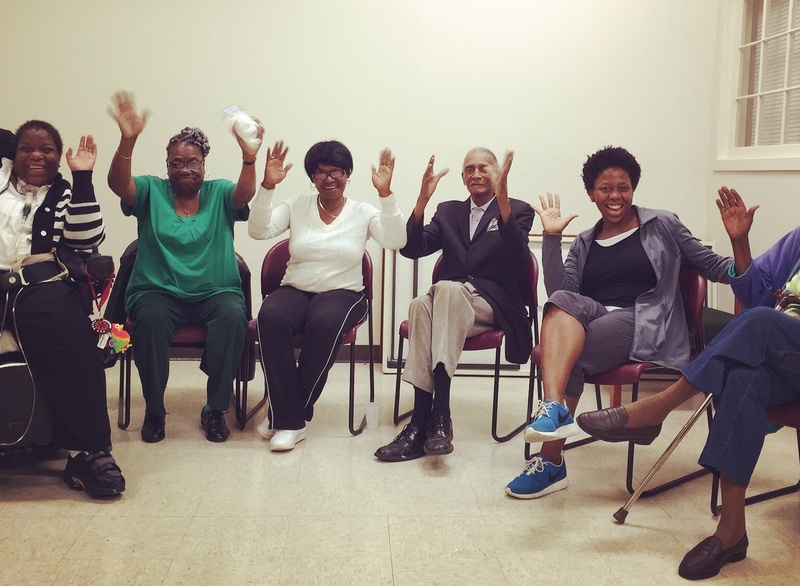 Their blood pressure was up, their nerves were on edge and some of the sweetest older ladies you know had taken up cursing again after many year of abstinence. 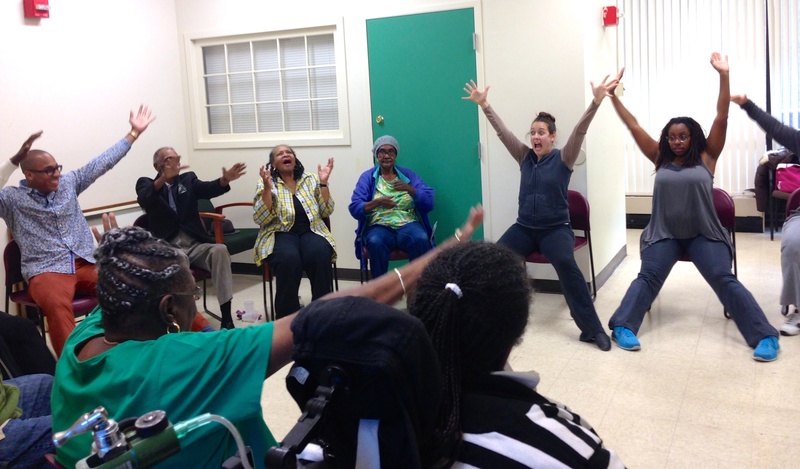 Music and movement with the amazing Seniors at Penn North Plaza next to the CVS that burned down during the uprising. CJay Philip, Dance & Bmore presents a new work that is part music concert, part theatrical production, part concert dance and All The Way Live! 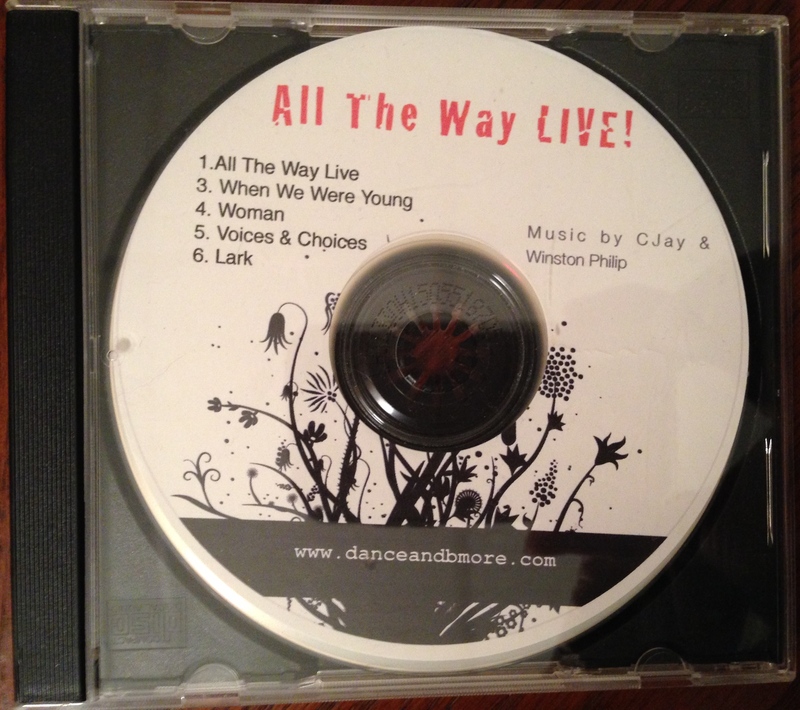 The live band and live singers and dancers set in a live radio broadcast debut an album of new music written by CJay that will take you back to what you love most about a live concert jam. How does being in love change over time. Is it human nature to hold onto reflections of love in the past, when it was shiny and new. The idea of creating an online entertainment news series came about in the Fall of 2011. I was at a round table about marketing and cross promotion in the arts community. The use of social media and traditional paper media was discussed for a while then I raised my hand and asked " What about television" you would have thought I dropped a stink bomb or something. I mean the face making, moaning and complaining was so deep. What I heard was disappointment and frustration. The feeling of being used as filler if theirs nothing better to report on and God forbid a storm or a scandal comes up cause then your "Bumped". I went home and told my husband how hopeless these art professionals where about seeing themselves and their efforts aired regularly in a news media formate. I don't even think they saw themselves the way I did at the time but faithlessness was screaming a me and sucking the life out of the room. I walked home that day to clear my head. Artists are some of the most faithful people on the planet, believing in the unseen, having hope in the face of hopeless situation and taking seemingly nothing and turing it into something creative and magical. When we loose our ability to dream beyond what we see in the present, we are loosing the very soil that art grows from. I decided to dream for all the broken spirits I felt in that room and day dreams turn to sketches on note pads and formats and catch phrases until the right one came out. 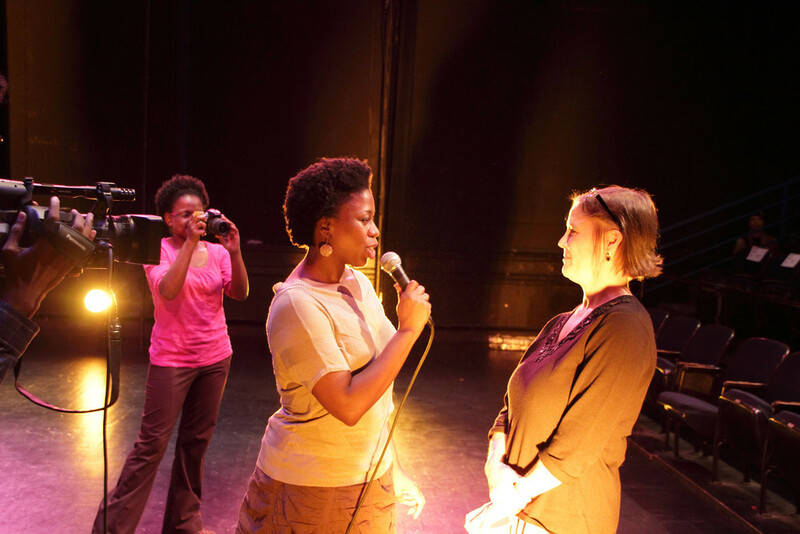 The Baltimore Arts Scene...yeah that's what it will be. It's not about a show but about an energy and life that already exist and we are just capturing it to show it to people who maybe have never scene it before. I feel like one of those documentary scientist on National Geographic capturing mystical creatures in their natural habitat and sharing their stories and history in hopes they will not become extinct. 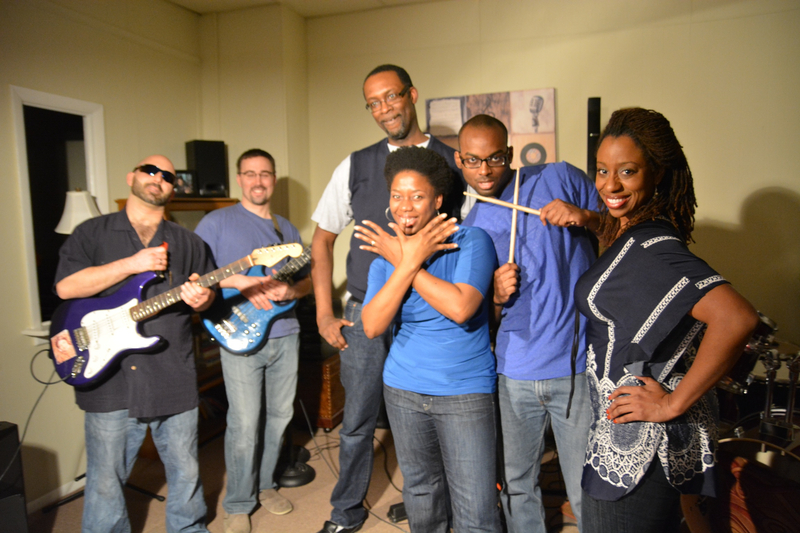 A Very fun episode with lots to see: Baltimore Hoop Love, The summer Arts Market and Open Walls Baltimore. I typically do the first round of editing but was traveling alot and our computer kept crashing so this took forever to finish. The real editor in the family was as patient as he could be but this one was the closest we've ever come to birthing a baby. It was sooo painful...but later so beautiful, at least to me. One of the goals of TBAS is to let art lovers know whats out there to experience and to inspire new audiences to share in the rich bounty of creative choices. This art lover shares her thoughts about the experience. 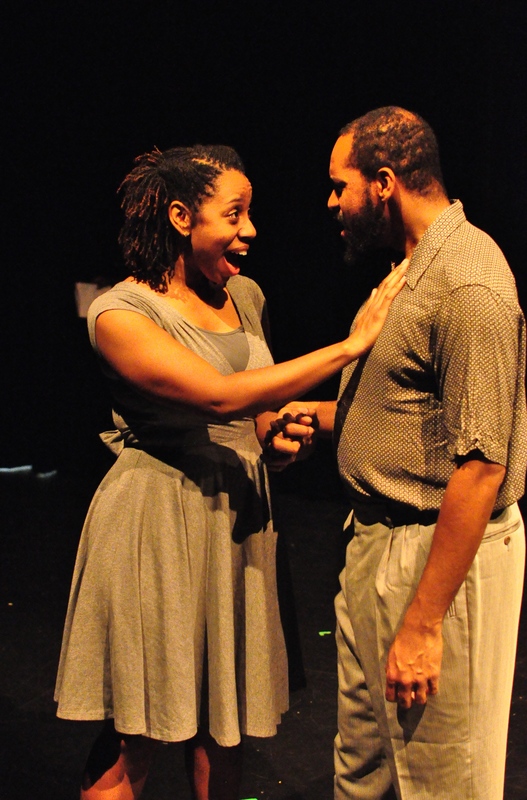 Former Artistic Director of Theatre Project gave us her thoughts on hosting dance at Theatre Project and highlights of their upcoming season. 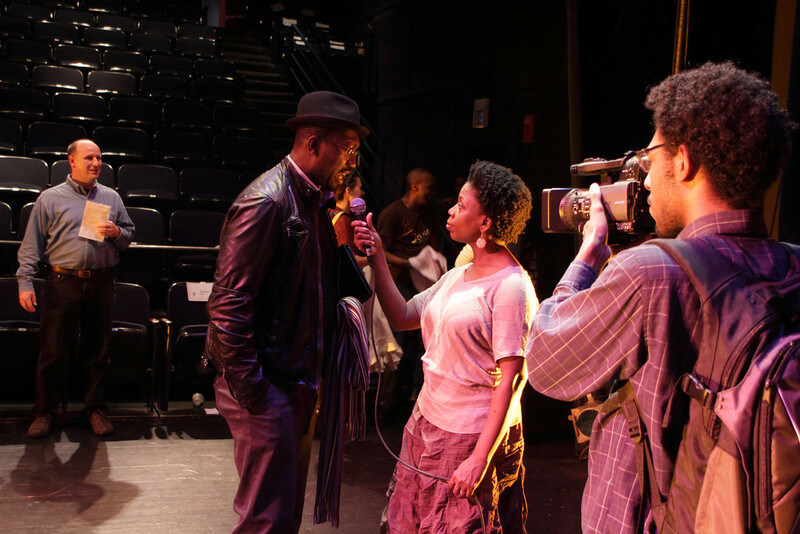 The Baltimore Arts Scene is a new online entertainment news series which hopes to shine more light on the amazing things growing in Baltimore's diverse creative communities. 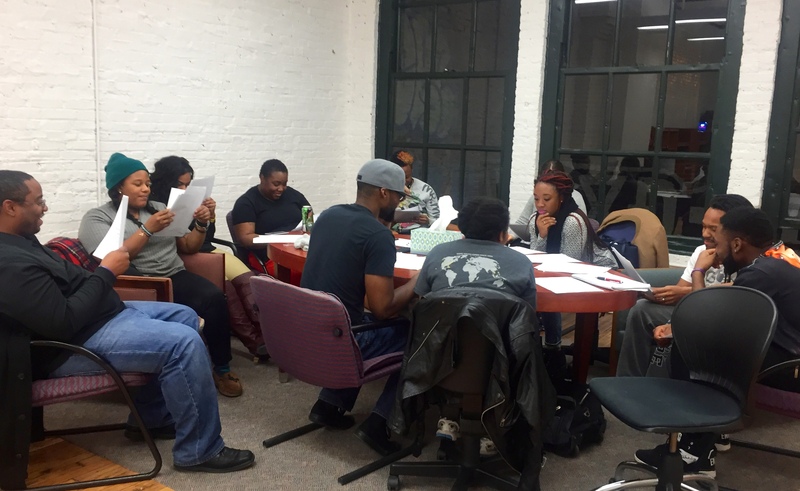 Our goal is to enlighten and intrigue viewers in a way that stimulates a desire to venture out and experience the Baltimore arts scene for themselves. Cultivating new audiences and growing an appreciation among various creative circles is the dream and theme of our logo. 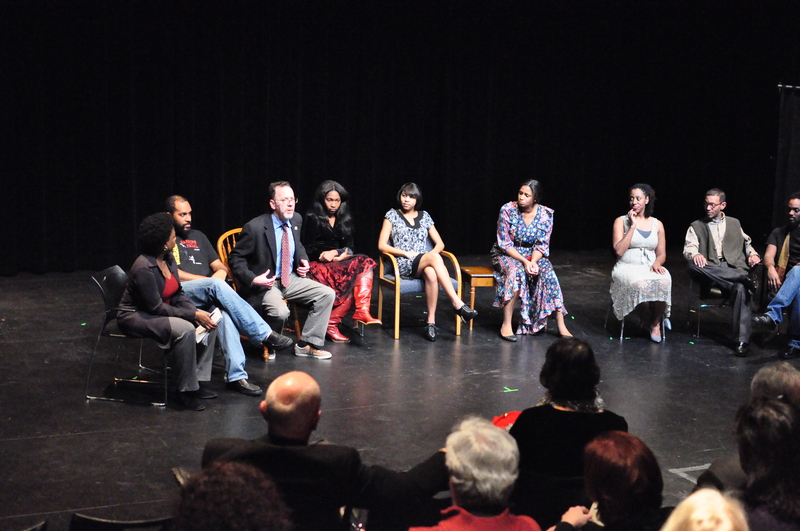 Voices & Choices premiere May of 2012 and continues evolve. 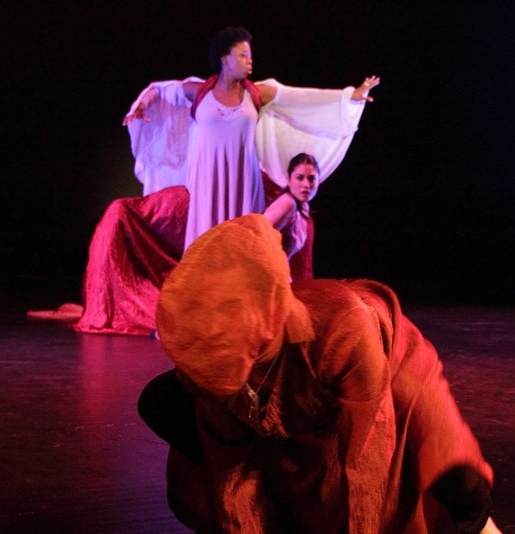 Originally a structure improve piece paring poets with dancers who would embody their spoken word. I continued to discuss and explore with the company the voices that we each have in our own heads that influence the choices we make every day. Voices & Choices starts with this spoken word and live vocals to spark thoughts and questions about which voices influence the choices we make. Are there voices hiding in your mind that never make a sound and why? 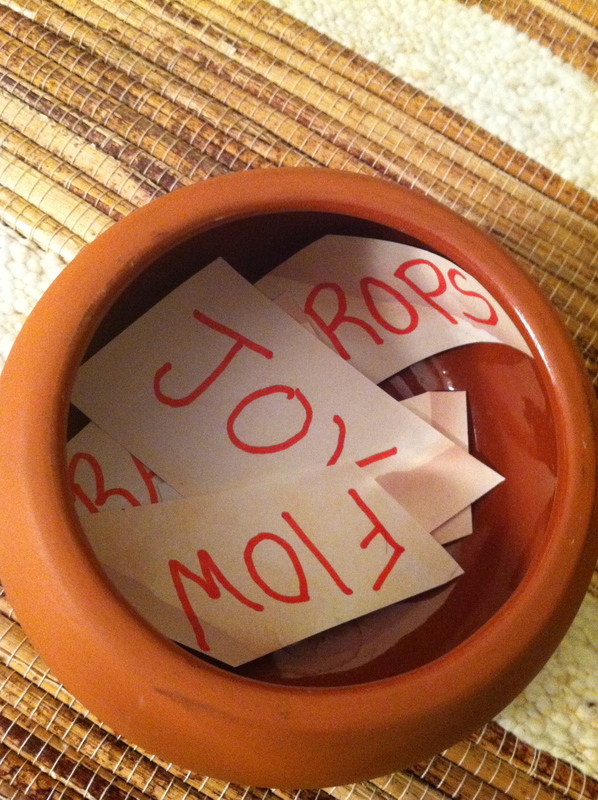 Random audience members choose words from this jar that become a song or a sound and a motivator of movement if a dancer so chooses. 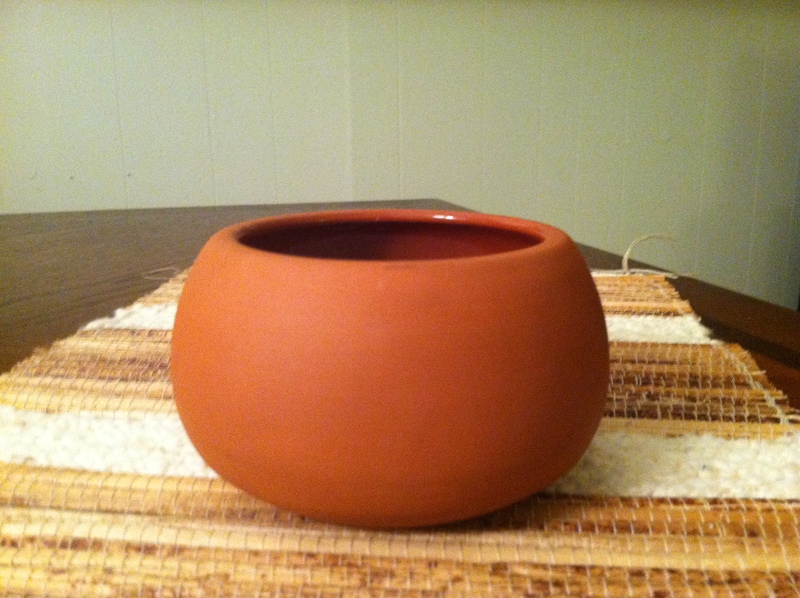 Small, smooth, jar of mystery that just a few see inside and even fewer get to choose to draw from it's wisdom. Creating concepts and direction for video is incredibly fulfilling. You devise a plan and layout all the while knowing it's gonna be food for the trash because after the shoot is done the stories that lay underneath the footage waiting to come out inevitable almost create themselves. Where you started is rarely what you end up with. It's one of the things I love about directing...the discovery. 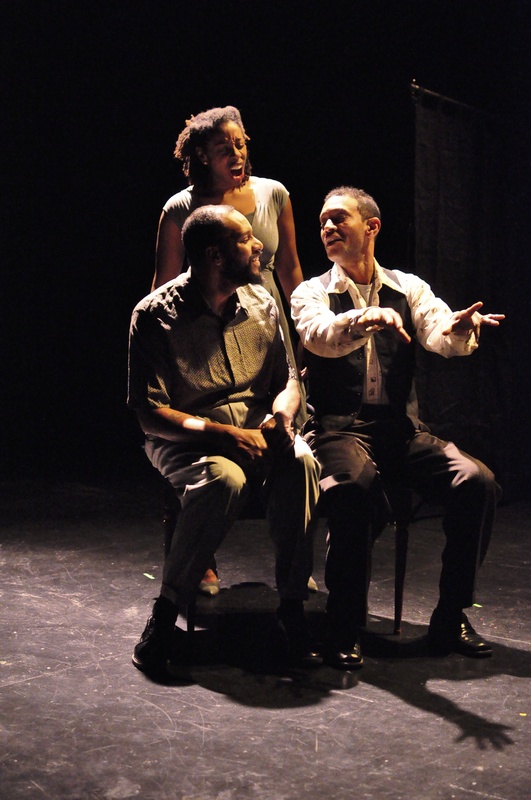 CJay Philip directed a new play by Max Garner based on the iconic fame and tragic death of Marvin Gaye. 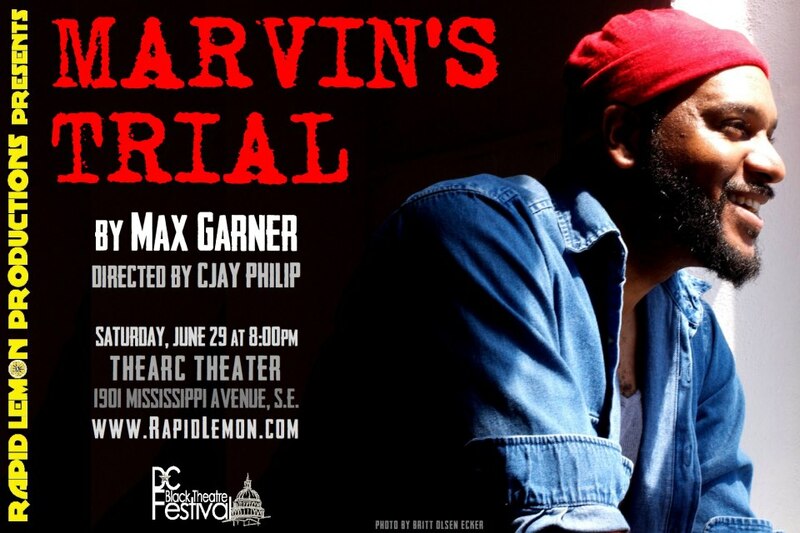 Marvin's Trial premiered at MICA's BBox Theatre in Dec of 2012 and was presented at the 2013 D.C. Black Theatre Festival. Both productions were a tremendous success. 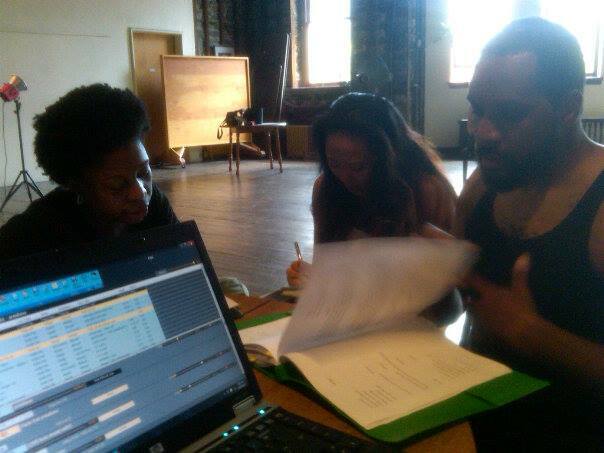 Multidisciplinary Aspect- After thinking up the role of Music who's lines where all sung not spoken, CJay and the newly cast singer DeMerris had to come up with a vocal sound track that match the jumps in time period and style throughout the piece. As an added but subtle time indicator CJay designed the workshop costume plot with actors in shades of grey until 1969 but 1970 on all costumes were in color. 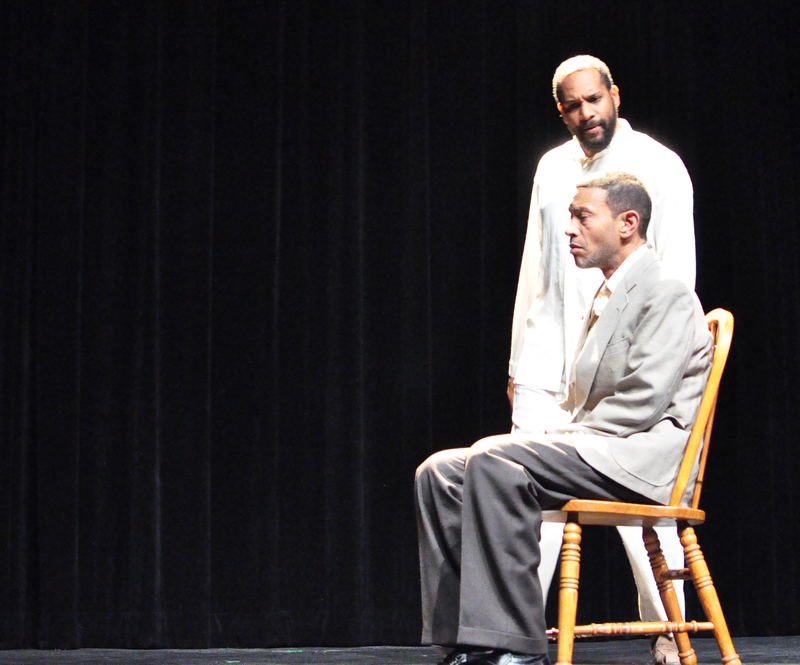 This was not an easy task as the play was not at all linear but the talented cast rose to the challenge. CJay also wove accents of creative movement throughout. 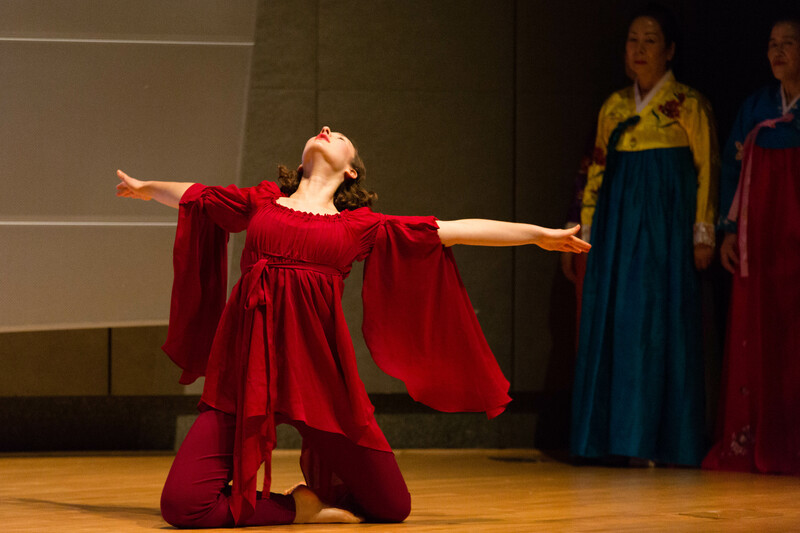 The premiere in Baltimore was followed by audience discussions which proved incredibly useful in the growth and direction of the piece. Marvin and Music always together through the years. When I originally read this script there were 12 characters played by 6 actors. I couldn't help but think someone was missing. I sensed another character and heard her voice throughout the piece and the life of Marvin Gaye. Writer Max Garner easily agreed to my suggestion of adding the role of Music to the cast of characters most influential in Marvin's life. Here we see her share a vision of their future together. When I originally read this script there were 12 characters played by 6 actors. I couldn't help but think someone was missing. I sensed another character and heard her voice throughout the piece and the life of Marvin Gaye. Writer Max Garner easily agreed to my suggestion of adding the role of Music to the cast of characters most influential in Marvin's life. 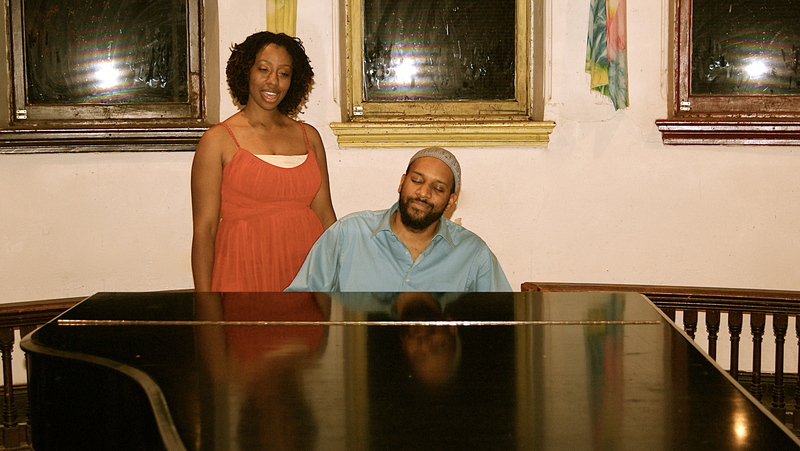 Here we see her introduced to Marvin by his father on the church piano. if you could say anything, one last time what would it be? The Twilight Zone- to be on trail for the murder of your own son while thousands of his fans await the veridic just out side. Theatre is work. focused, thoughtful, meaningful, life filling work. So many questions surround the iconic life and tragic death of Marvin Gaye. My goal was not to answer them but to illuminate them in a way that revealed our own icons and paths toward tragic ends. The rest is up to you. 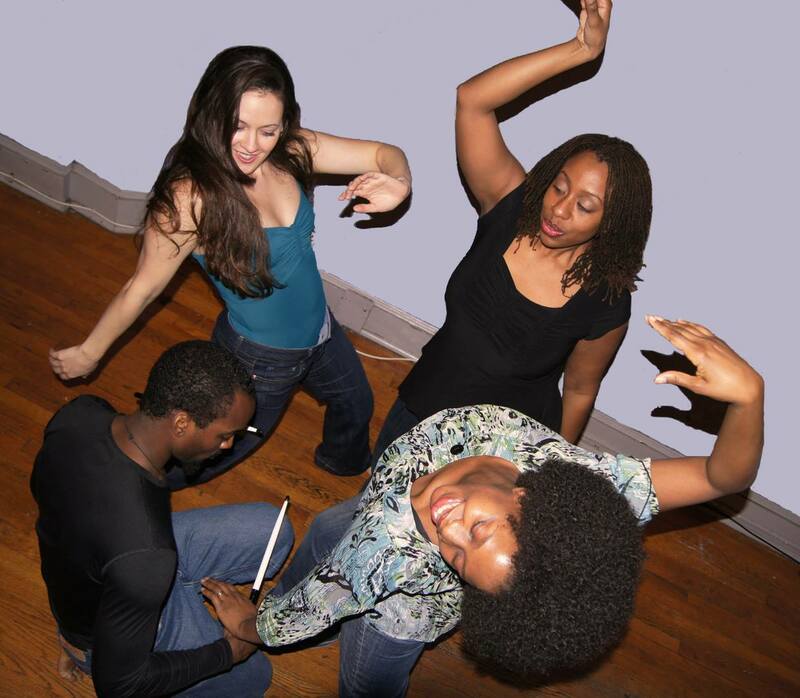 This new work was workshopped in Baltimore Dec 2012 and premier at the DC Black Theatre Festival June 2013. 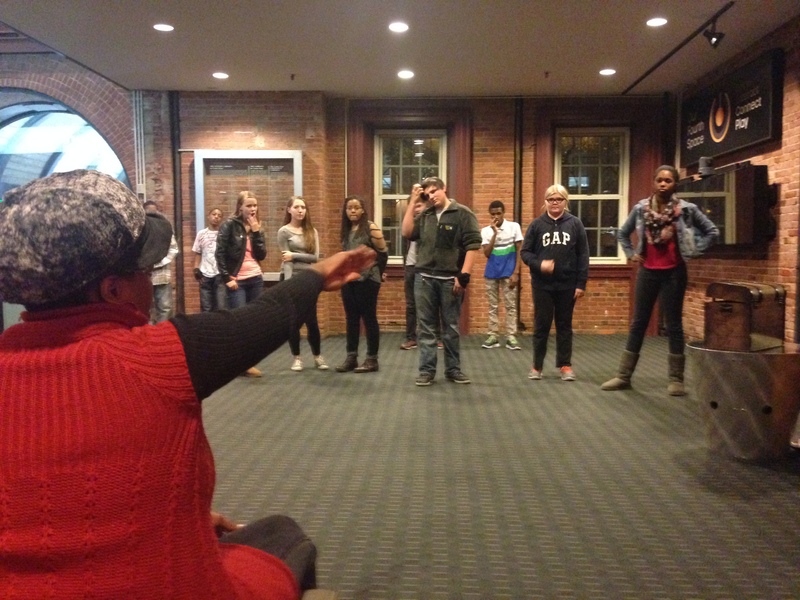 Some of my greatest memories in the theater are shared with Baltimore Youth. They are strong, passionate, talented and resilient. I learn as much from them as they do from me. 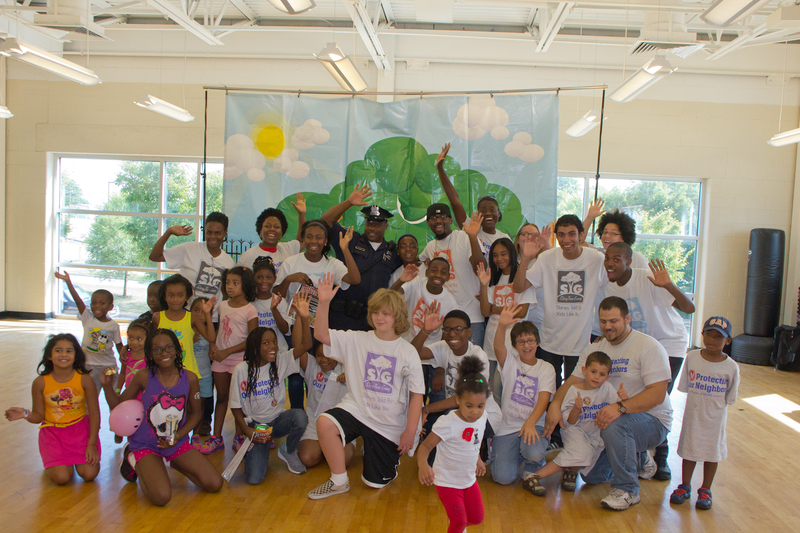 Our youngest Story Tree Gang ever! 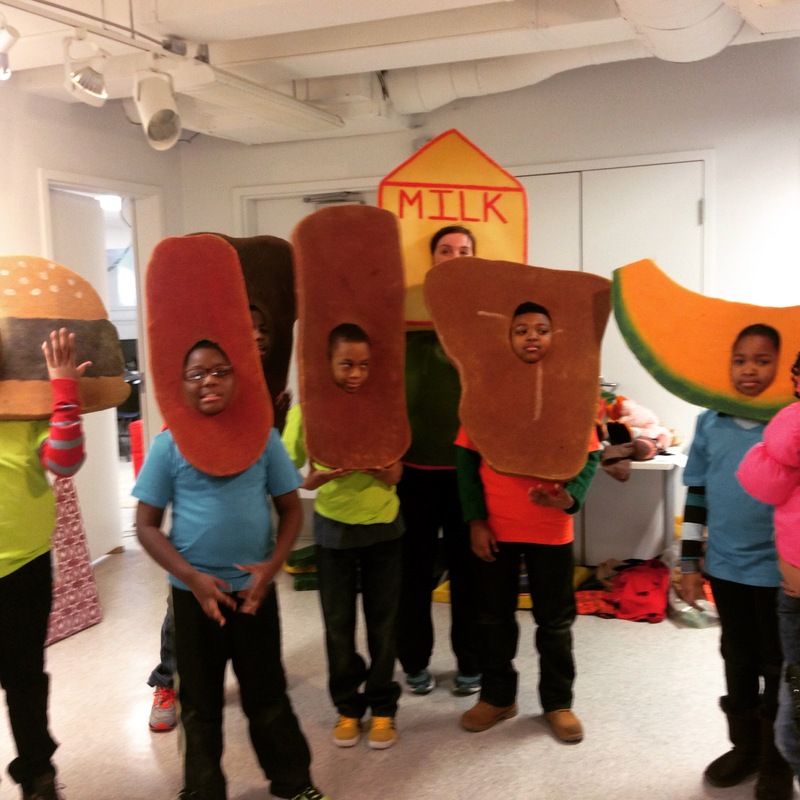 In the Refrigerator Story the Meats do not get along with the fruits and Vegetables. I was part of the original creative team of The Story Tree Gang which started as a sock puppet show at a HOPE clinic in south Philiy. 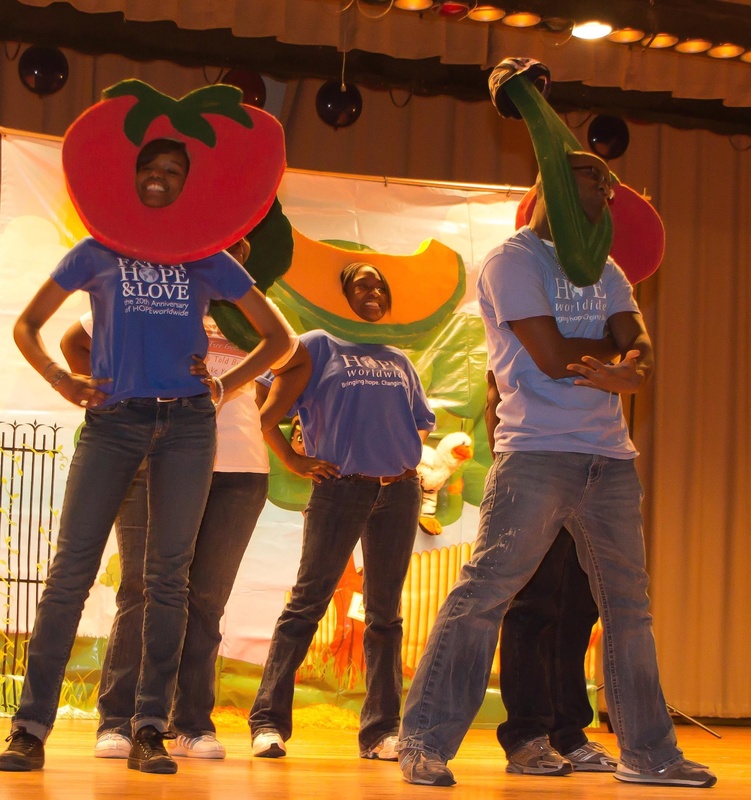 Over the past 15years the program has grown into troupes of young performers throughout the USA combining music, dance, puppetry and comic story telling to address challenging issues facing todays youth. 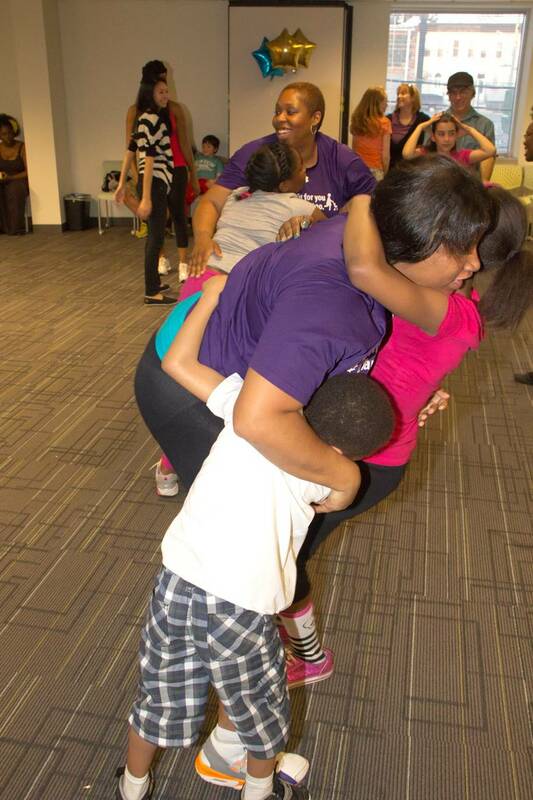 Conflict resolution, gang violence, healthy eating and literacy are all topics woven delicately together to reach and teach pre school and elementary school children.